Earlier this month Quirky spun out its Wink smart home product line into its own separate company with the goal of building software to control the smart home. But as I wrote at the time, first it had to build some hardware in the form of a hub that will control not just the Wi-Fi-based Wink-Quirky gear but also the other smart devices already in the wild. People who want to go beyond one or two purpose-built connected devices and start automating or trying to tie separate pieces of an existing home automation system together would want to use a hub to help get multiple devices on the same system and use one application instead of several. In general, hubs are not for those who want something to work right out of the box. They generally reward someone who who wants to tinker and tweak their system. Wink’s hub, which retails for $79.99 (although it will be priced through Labor Day at $49.99 at Home Depot and Amazon) contains several radios including Zigbee, Z-wave, Lutron’s Clear Connect and the proprietary Kidde standard. 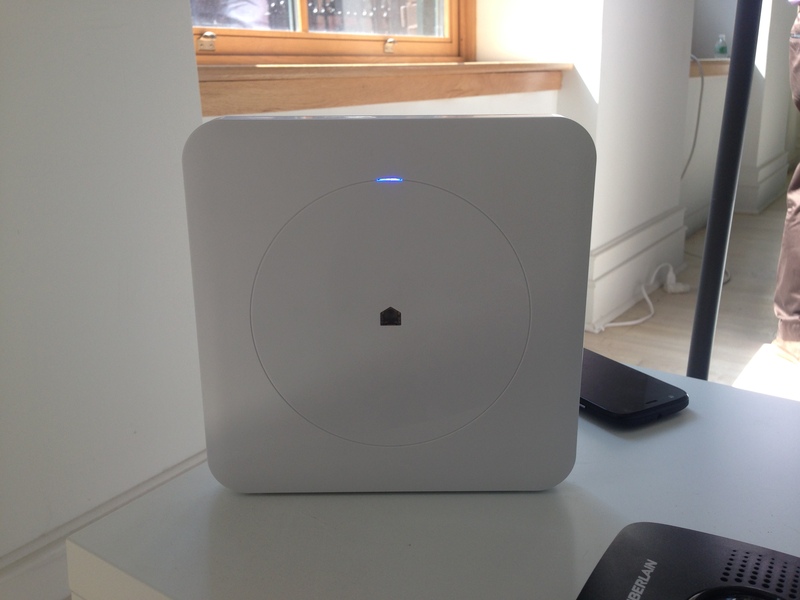 It plugs into a wall, but it uses Wi-Fi so you don’t need to plug it into a router. As a feature this is nice, because when connecting Zigbee, Z-wave and Lutron gear in a larger home, it’s better if you can bring your hub close to the device you want to connect because the radio signals don’t travel as far and the mesh network isn’t established yet. The hub is attractive and the setup process is simple. Before opening the box, you install the Wink app on your Android or iOS device (I set mine up using Android, but used both iOS and Android in the test), sign up for an account and then click through the licensing agreements. The agreement did give me pause since Wink claims all of your data as its own property, but in the spirit of testing out service I clicked through. I was able to add my Hue lights with no trouble, but then the trouble began and was pretty much never ending. Adding the Lutron dimmer on the wall tripped me up, because the dimmer was already paired with a remote. So to add it to the Wink I needed to unpair it, which I did with the aid of the Wink tech support guy. The unpairing step should probably be built into the app’s troubleshooting guide given that in most home networks if something won’t join your hub after a reboot, then resetting the radio to unpair it is the next step. Then I tried to connect my TCP Connected lights, but couldn’t manage, despite resetting my remote access to ensure I had the right information. This could be a Wink issue or a TCP issue. It isn’t clear. Adding the Kidde alarm took another call to the help line because there was some system-wide issue with the alarm, despite it being a Wink-ready product. When adding a product you had the option of using a barcode scanner or choosing from a list of products. But even with the Kidde smoke detector that was labeled as “Wink-ready,” the bar code scanner didn’t work. I also had trouble pairing my Z-wave blinds to the system in part because the converter for my motorized shades is a clunky piece of equipment that is generally not consumer friendly. I mention it because others may want to pair other Z-wave and Zigbee devices to the Wink, but so far, other devices don’t seem to be well-supported. I couldn’t figure out a way to pair a Z-wave remote to the hub and I also couldn’t figure out ways to add the Zigbee outlets I had. That could change with time and a software update — or so I hope. I finally gave up trying to connect new devices and stuck with the few I had managed to connect to understand the potential of the device. While it was a pain to get devices onto the Wink platform, once they were added, the software is quite good. This is great, since Wink’s goal is to be a software company, and because software is the real value of this type of device. Controlling each individual device was easy and each time I opened the app it accurately reflected the status of almost all of my connected devices (the Hue lights took a moment), no matter if I had last controlled them using the app. During the one instance in which the app showed the wrong information it was talking to my motorized shades and that glitch could be because it’s not a supported device, technically speaking. And in that case the information was consistently wrong; as in, when the blinds were open the app showed them as shut, and vice versa. The interface is simple and easy to use to build complicated automation recipes or even schedules. Building groupings of rooms for lights, for example, requires clicking through three screens. The Hue lights became a problem in creating any groupings or shortcuts, however, because they couldn’t be included in any recipes beyond turning each individual light on an off or to another color. The Wink tech rep said this was because Hue only gives limited access to outsiders because it wants people to use its app. However, I was able to use the Lutron gear under the Staples Connect hub to control the Hue lights last December, so I’m wondering if there is another explanation. GE, which has invested in Wink, does make connected light bulbs, or perhaps Philips has a different deal with the Staples guys. Beyond lighting, you can use what Wink calls Robots to create home automation scenarios. For example, it took minimal effort and only a few screens to set it up so if my smoke detector went off, my Lutron lights in the dining room would flash. I set it off and that worked. Scheduling events on a timer also worked, although my iffy blinds didn’t close when they were supposed to. Wink did send and register the command, however. And scheduling around the lights worked as well as did a location-based robot that turned on the lights when I arrived at home. 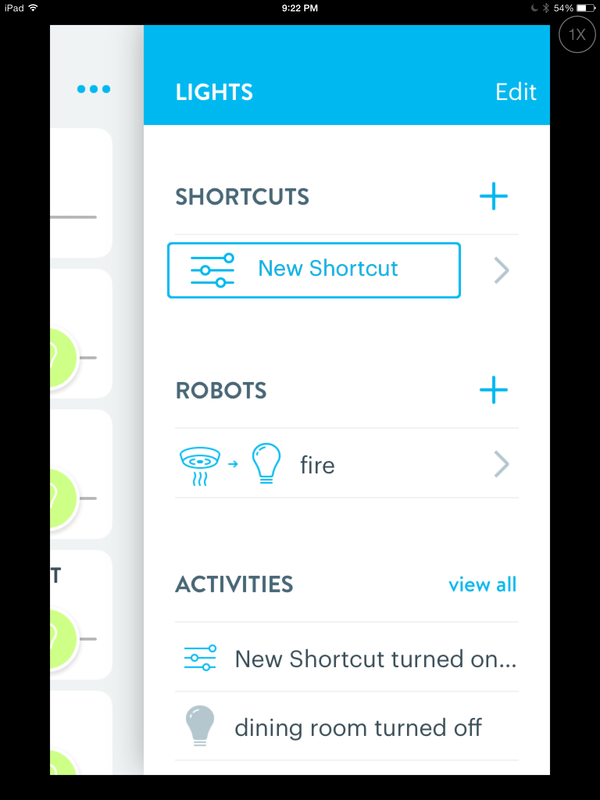 I liked the automation settings because they were not only easy, but you could tie a lot of variables to something, and as your automation efforts get more advanced that’s probably something you’ll want to do. For example, a “good night” command might happen during a set time period (between 10 and 4 am) if someone hasn’t set off a motion sensor downstairs or in a hallway for more than 15 minutes. Or you might only want your lights to flash in response to the smoke detector going off when it’s dark. Wink makes these easy to set. As with any platform, one challenge Wink currently faces is that by designing a user experience that works, it must limit the devices it currently supports. So there’s no support for the Nest or my Ecobee Thermostats, although that could certainly come down the road. There was also the challenge of adding existing Z-wave and Zigbee devices via some generic profiles that would be nice to have. Software updates and clearer troubleshooting information will help on the device pairing side, and hopefully either TCP or Wink will figure out the glitch between their platforms. The Hue lights are almost worthless with Wink, so if you are a Hue household, skip the Wink. Either way, I’d wait and let Wink add more devices and work out some of the bugs with getting things online before committing to the platform. But around the holidays, if Wink has solved those issues, it would be easier to recommend this product because the software is really intuitive and easy to use. At that point, you might want to check it — and the supporting devices — out. so we have standardized on the WINK hub… and i just bought some TCP connected light… and they won’t work, but i think its because i don’t have a TCPHUB? isn’t this the point of compatibility??? 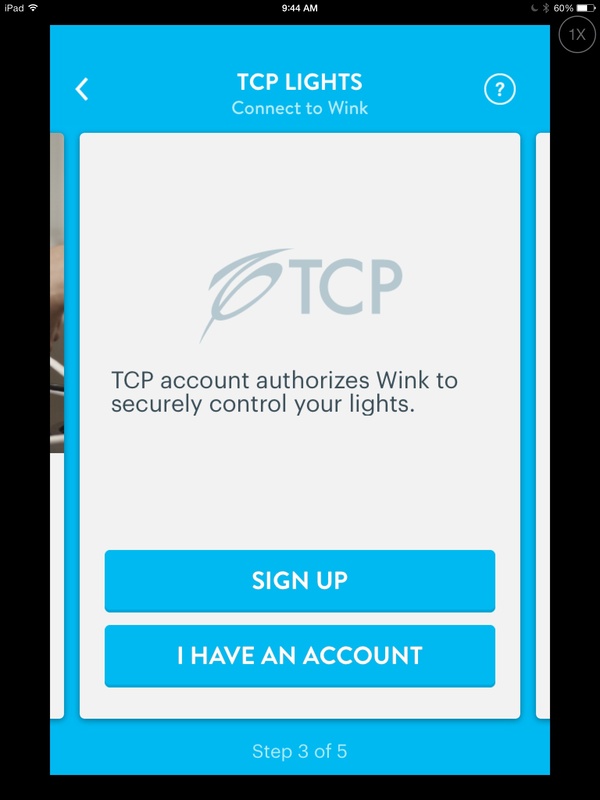 I have WINK, i don’t want to buy another hub, nor specific hubs for specific vendors… does anyone know if you can use TCP lighting products with WINK, WITHOUT having the TCP hub? If not, these TCP lights will be returned and TCP is off our lighting list…. locks , lights ,cameras ect all could be hacked over the internet I don’t see why someone can’t design app and device that would work on a non internet connected encrypted radio system that works only locally. Is it stated somewhere that wink only works with the Internet enabled? It seems to work without internet, too. What good is an automation system that stops working if the internet goes down? Why would I want something that only works with the cloud when so many other options work without it? Some of these systems also allow you to control cameras and view video streams from those cameras. there is a landmark lawsuit where a hacker got access to these video feeds and robbed the home as they verified it was empty. Any comments or concerns? How are these systems protected or the manufacturers liable for those situations? The Wink system seems to be the most usable. I only have the Aros at the moment, but expect to pick up a connected power strip. What bothers me about Wink and other connected home systems is the lack of integration with the network. I donâ€™t want crap plugged in all over the house. Perhaps this is where home router manufacturers and internet providers can make an impact. It will take a while for ATT and others to get over not owning another industry. A hub for LED lights, a hub for other stuff, a connected TV box with a cable box, this just ridiculous. Thanks for the info. Did you solicit any comment from Wink on the data ownership issue? That just killed my purchase. I didn’t ask because it’s really clear in the TOS, but I’ll reach out. Their iOS app now has generic Z-wave devices you can add. Hopefully Wink continues to roll out these updates. Really like the product. I have the update that shows the color changes. I update all software and hardware to the most recent versions throughout any review, and the LED changing color to indicate readiness was nice. There is the ability to add a generic Z-wave light, Z-wave blinds and a Z-wave lock and also a generic Zigbee light, but I have a bunch of sensors that are Zigbee and Z-wave I’d like to add. Sensors would be awesome if they add them soon. The Spotter is, uh, spotty. I returned that thing back to Home Depot after a day and realizing it wasn’t doing what was intended very well. I was really disappointed with the launch not having Chamberlain MyQ integration. It was shown on all the press releases. Supposedly the release was pushed to the fall.